David Chernikoff, MDiv, LCSW, is a meditation teacher, spiritual counselor, and psychotherapist who taught psychology and meditation at Naropa University for many years. In the early 1980s, he worked at Ram Dass’s Hanuman Foundation Dying Center in Santa Fe, NM and then became the director of Messilla Valley Hospice in Las Cruces, NM. He later spent three years in Nepal studying with Tibetan teachers and doing development work for the Seva Foundation, after which he returned to the U.S. and became the education director for the Spiritual Eldering Institute. In that role, he taught conscious aging programs throughout the U.S., in Canada, and in Ireland. 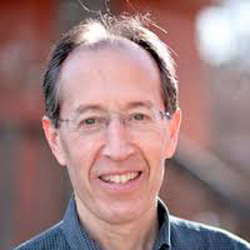 Trained as a Community Dharma Leader at Spirit Rock, David is currently one of the guiding teachers of the Insight Meditation Community of Colorado and has a private practice in Boulder.